The Bay of Whales Gallery is proud to present some of the very best realistic animal and bird paintings in Australia by Brett Jarrett. The Gallery showcases sophisticated, world class paintings presented in a custom built professional gallery. 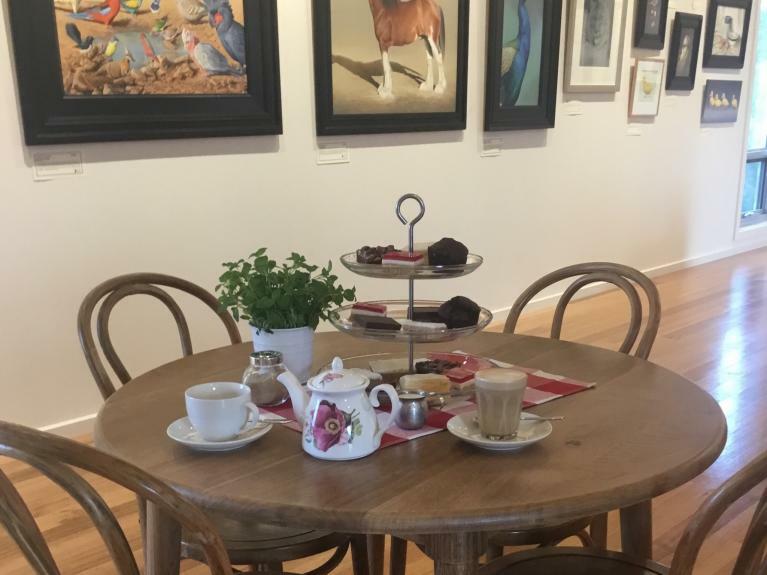 Located 15 minutes from Portland and 30 minutes from Port Fairy just of the Princes Highway in South West Victoria the Gallery offers a wide diversity of beautiful fauna from around the world, from the Arctic’s Polar Bears and Africa’s Big Cats to the extraordinary Emperor Penguin of Antarctica. A master of his chosen medium, Brett Jarrett is passionate about sharing his life experiences as a naturalist and skill as an artist. Brett’s paintings have been selected four times for the prestigious Society of Animal Artists annual exhibition and national tour of the United States. His Paintings are displayed in numerous private collections internationally. Approaching the peak of his career, Brett’s paintings express a powerful sence of realism and accuracy with strong artistic elements of how we see and enjoy two dimensional fine art. The driving force behind his work is s life long fascination of animal anatomy, behavior and beauty, allowing him to communicate a story or moment in time to the viewer. In late 2017 Brett won the Holmes Art Prize, which celebrates excellence in realistic Australian bird art. Throughout the year Brett creates no more than works, from small life-size portraits to complex pieces measuring over 2 metres that can take several weeks to complete. It is these larger works that feed his imagination, from memorable experience in the field that forms the basis of some of his greatest work or the sheer excitement of creating a physical and emotional window into his world of art and nature. 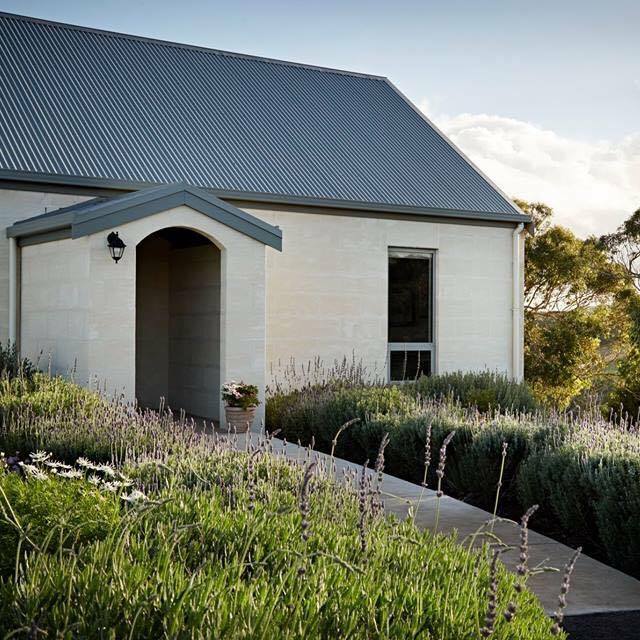 The Bay of Whales Gallery, located 60 metres above sea level with 220 degrees of uninterrupted panoramic views between Portland Bay, Lady Julia Percy Island and Port Fairy, the gallery looks south into the Southern Ocean. The Gallery name has significant meaning for the artist after visiting a locality (Bay of Whales) in the Ross Sea (Antartica) which is incidently the fartherst south you can go by ship at 78 degrees and 36 minutes and the increasing seasonal whale activity in Portland Bay. The connection between the two locations was always destined to cross paths as Brett spent more than two and a half years working on and around the Antarctica while his coastal birthplace was an exciting place to observe and learn about marine mammals and birds.This link is even more apparent with the artist producing three field guides and contributing artwork to many scientific papers and articles. Bay of Whales Gallery is open on Saturdays and Sundays 10 am till 4 pm and by appointment at other times Phone 0415 464 572. 4 hours west of Melbourne CBD. 5.5 hours east of Adelaide on princes highway towards Mt. Gambier. 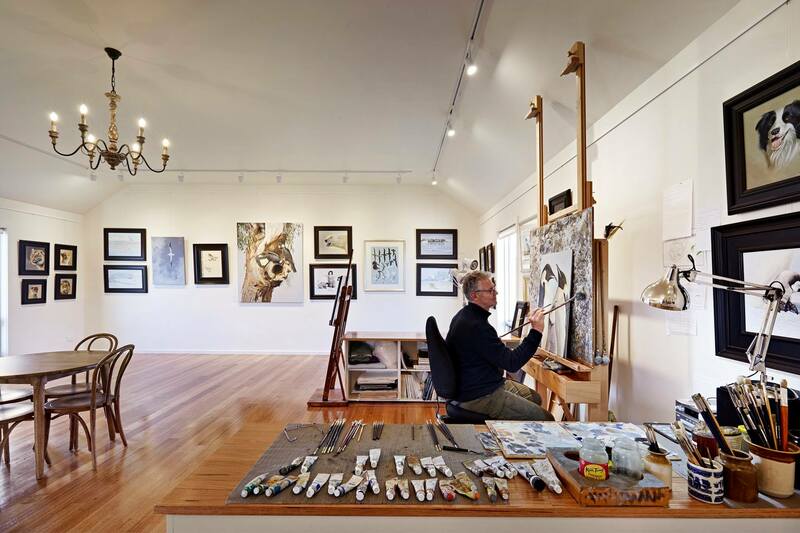 Gallery is located 3 km off the Princes Highway from the small seaside hamlet of Narrawong. From Narrawong turn north into Whisler’s and Mason’s Road ( sealed), turn rught into Liebelt’s Road ( sealed) for 400 metres. Turn left into property gate number 47.